I don't know about you, but chocolate chip cookie dough is one of my most favorite things ever. It never gets old. I make chocolate chip cookies all the time and always eat my fair share of dough. I just can't help myself! So when I wanted to make a batch of cupcakes, this was a no brainer. I made them blue as a nod to Cookie Monster, but that's totally optional. Fluffy and moist vanilla cupcakes stuffed with cookie dough, topped with vanilla cream cheese or fudge frosting, and to top it all of a mini chocolate chip cookie. They are over the top delicious. First mix up a batch of your favorite cookie dough (or use store bought) roll into 24 1" balls and freeze for at least 1 hour before using. The cookie dough will not have enough time to bake if they are frozen all the way through - thats what you want! Use the remaining cookie dough to make mini cookies to use as toppers to the cupcakes. In large bowl beat together sugar, butter, and oil until very light and fluffy. Add in vanilla and eggs one at a time. With mixer on low slowly add in flour, milk and baking powder, then turn to high and mix for 2 minutes. Pour evenly into 24 cupcake liners and drop a ball of cookie dough in the center of each one - do NOT press down. Bake at 350* for about 15-18 minutes or until done. Cool on wire rack and frost. Store in the refrigerator. Let cupcakes come to room temp before serving. Melt butter and chocolate together and let cool slightly. Add sugar, vanilla, and a splash of milk and beat together. Turn mixer on high and slowly add more milk until it reaches desired consistancy. Beat everything on high until light and fluffy. I love these. You had me at cookie! Lol. And I love the homage to cookie monster. Yum! Love the blue frosting. Very unique and delicious looking! Mmm, I am quite the cookie dough addict too. These sound amazing! Wow! Those look so amazing! I'd love if you shared these at my link party this week! Hope to see you there! Those look like so much fun - ans so yummy as well! The kids would love this! Yum! I love the fact that you tinted them blue for cookie monsters. So so cute! Yum! 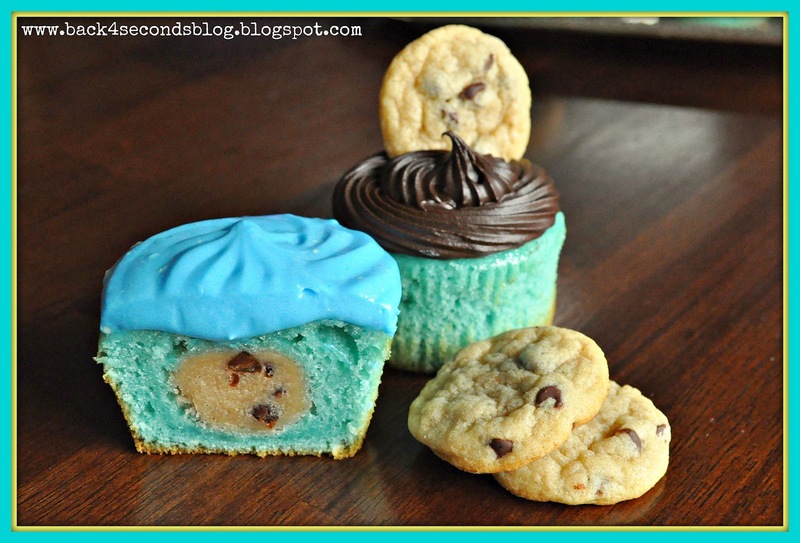 I love that you tinted the cupcakes blue for the cookie monster. So so so cute! Love the cookie monster color and the dough inside for a yummy surprise! I'm in love with these! Yum! 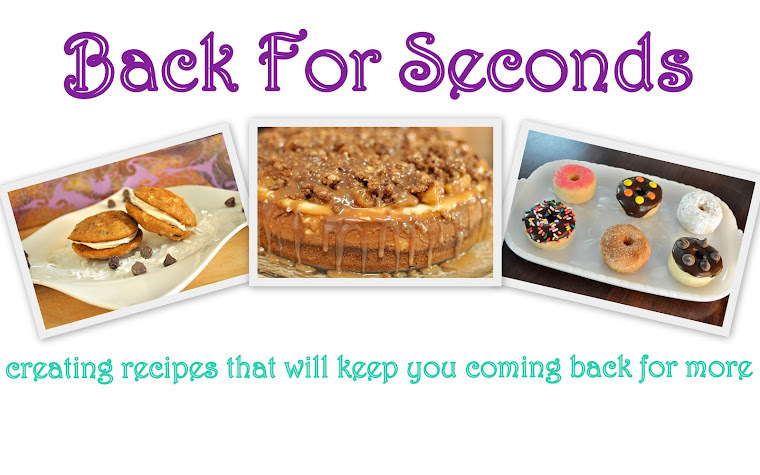 Printing out recipe now! Thanks! love the color so much, and fun to see the cookie dough center! (was it cooked or more cookie dough-y)? I love the nod to Cookie Monster. Cute cupcakes! hihi, those look supercute! And blue:-) what a great inspiration! These look fabulous! 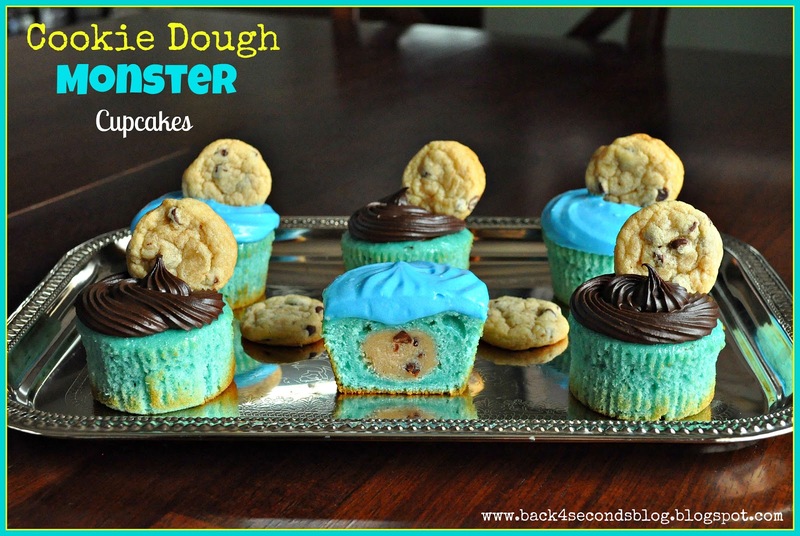 I love the cookie dough inside and the blue on top just makes it perfect. Thanks so much for sharing at Whimsy Wednesdays. These are so clever and cute! What a great idea! I found you on Somewhat Simple and would love it if you link up at my linky party going on now! I love these, especially the blue color! And the mini cookie on top, perfect, thanks for sharing! YUM! Those look amazing! I'm so glad you linked up this week! Facebooking these now! This cupcake will be perfect at my son's rehearsal dinner. Mouth.watering. Those look soooooo good! Thanks for sharing at the Pomp Party! Pinning to our Pomp Party board! Oh dear. I've seen these, now I have to make them. How will I ever stop eating them? The combination of good things is too much to resist! oh yummm!!! The looks so good! Aww these look amazing! I made cookie monster cupcakes before but they were just plain cupcakes and topped with the cookie monster. Might have to try this next time. These are so adorable!!!! I love that you don't know the googlly eyes to know they are cookie monster! My daughter is sitting over my shoulder saying, "Mom, you've got to make that!" We love cookie dough, too! Thanks for sharing,I'm your newest follower! GAH! Love these! The colour combo is excellent! My hubby would freak with excitement if I baked these up for him lol. I'd love for you to share this at my party, http://www.salttree.net/2012/05/open-call-tuesdays-6.html Hope to see you! Found this on Sew Can Do, great, yummy and wow! Oh wow, these look amazing! I love the idea of having cookie dough inside the cupcake. I like how they are blue for Cookie Monster. Thanks for sharing at Showcase Your Talent Thursday! I don't even have little kids, and these look good. Thank you for sharing. You had me at "Cookie Monster"! I just had to check these out. It seems so simple, yet it looks really fancy. I am stopping by from SaltTree and I am a new follower. Hope to see you at True Aim. Thanks for sharing. I can't wait to make these. Such a surprise inside of a cupcake. I found you on I Heart Naptime and will link you when I make these for a party. WOW!!! I can tell by these comments that these are a BIG hit! Thanks for sharing at Dwell on Friday. You are being featured tomorrow!! !